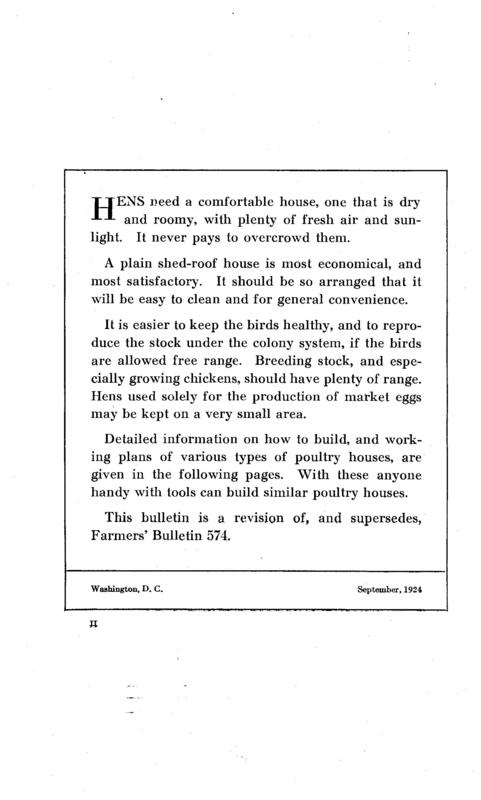 Hens need a comfortable house, one that is dry and roomy, with plenty of fresh air and sunlight. 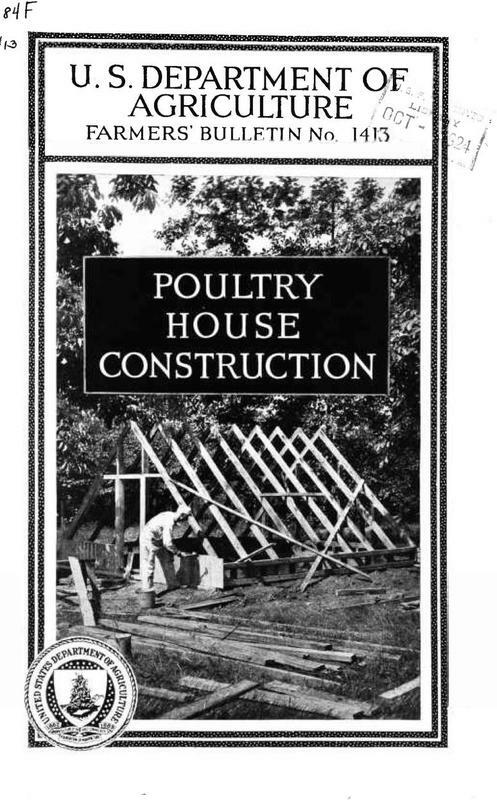 It never pays to overcrowd them. 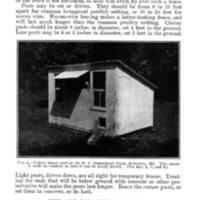 A plain shed-roof house is most economical, and most satisfactory. 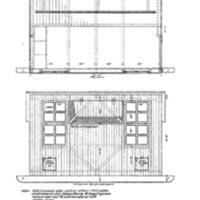 It should be so arranged that it will be easy to clean and for general convenience. 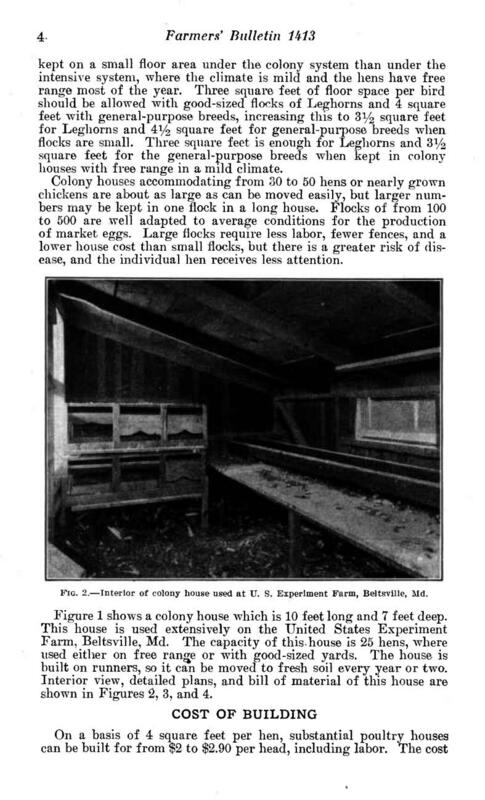 It is easier to keep the birds healthy, and to reproduce the stock under the colony system, if the birds are allowed free range. 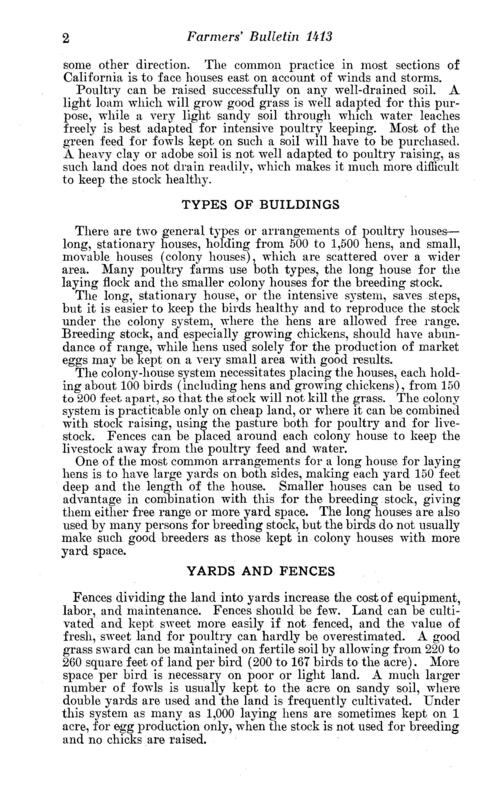 Breeding stock, and especially growing chickens, should have plenty of range. 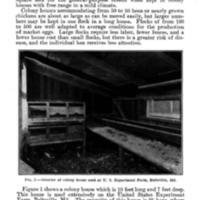 Hens used solely for the production of market eggs may be kept on a very small area. 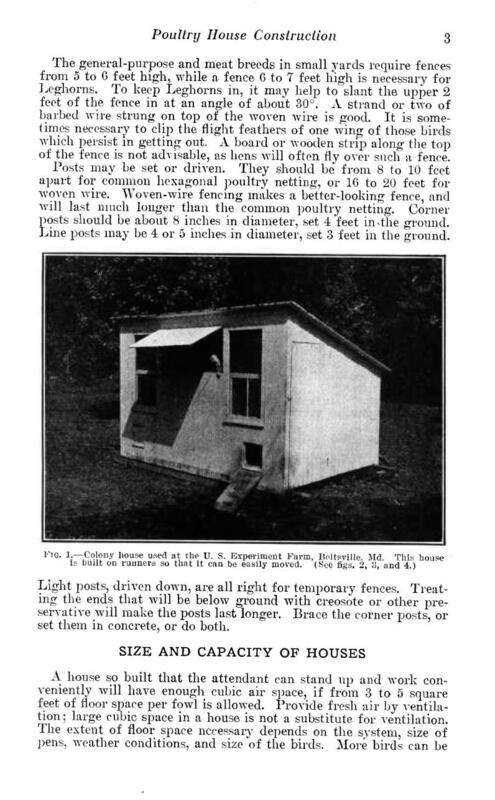 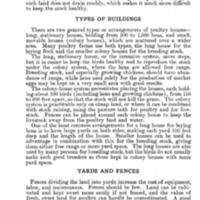 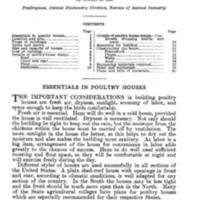 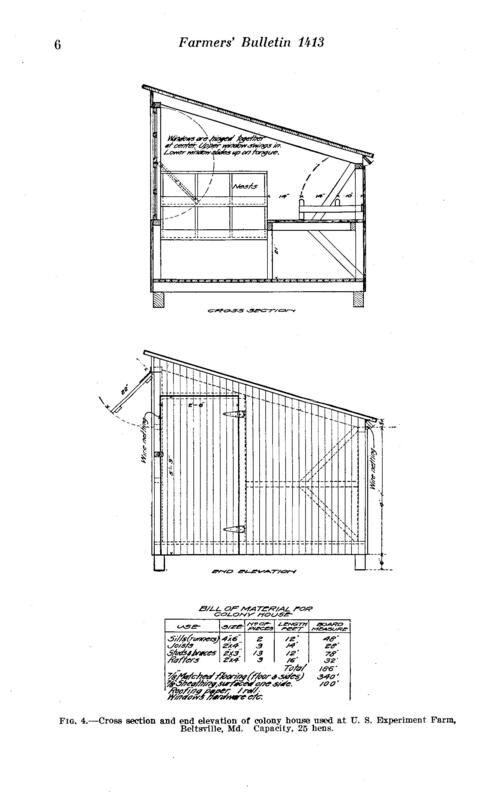 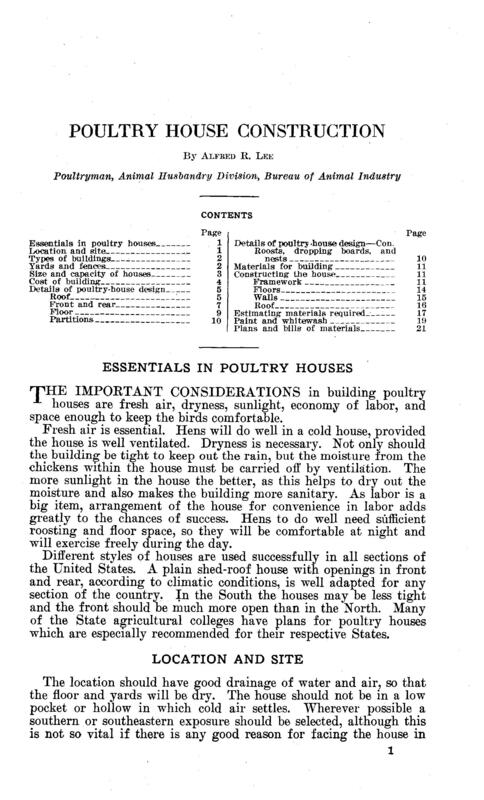 Detailed information on how to build, and working plans of various types of poultry houses, are given in the following pages. 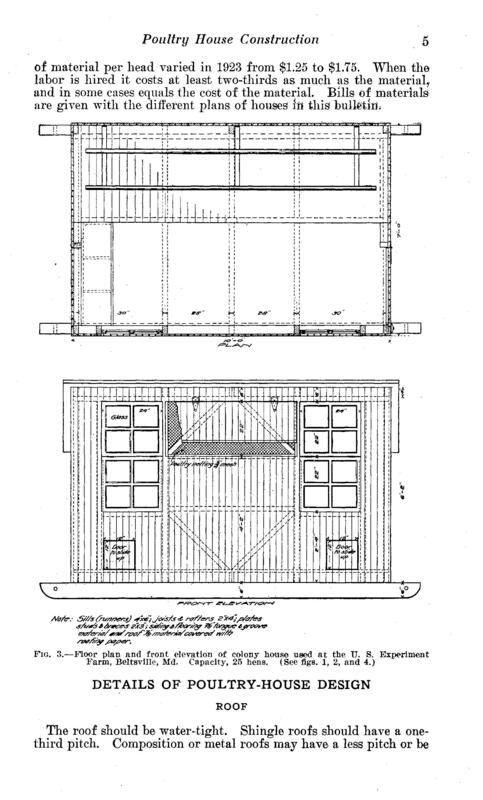 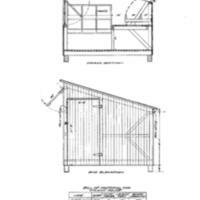 With these anyone handy with tools can build similar poultry houses. 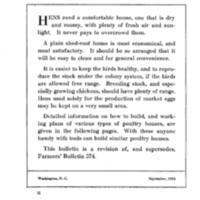 This bulletin is a revision of, and supersedes, Farmers' Bulletin 574.